I can be ok with this new decision. I could buy the idea of this being a good way to filter out "spammers" and people who undervalue knowledge, training and experience. Even though this will represent a multimillion revenue flow to them, is the other side of the coin (the potential clients) being treated in a similar way? Will they need to write more through job offers? Will they have to correctly value a freelancer's work? Will they educate the client in these initial steps? Guess we'll have to wait and see what happens after May/June. 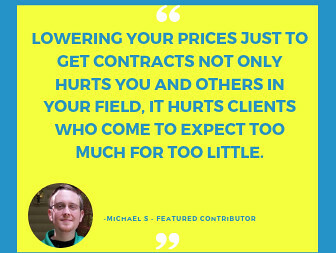 Well, if they do require all of these things for clients - i.e., create more hoops for clients to jump through - one thing's for sure: a percentage of those clients will be walking. Any executive (this isn't exclusive to UW) who's been in business for more than 6 or 7 hours total knows that people who are trying to get money (in this case, freelancers) will jump through hoops but anyone directly giving money (in this case, clients) is going to minimize effort and maximize profits, so if that means one site is getting to be too much of a pain in the azz, well, there are other sites that would be more than happy to finally win that top spot above Upwork. Those sites would be lovin' it, actually. So...more hoops for clients would likely mean fewer clients but still just as many freelancers, a net of more competition for any given freelancer here. This is surely an improvement. I have to pay 2 USD to bid a project that might comes back no response. That's too expensive. Besides, I wonder if connects change, will freelancer basic be able to purchase connects? I didn't realize that there'll be no more free connects in the future. I am so disappointed, I'm new to this platform and now barely made any money on it. The 20% commission is too high already and now it's asking me to pay for the bid????????????????? 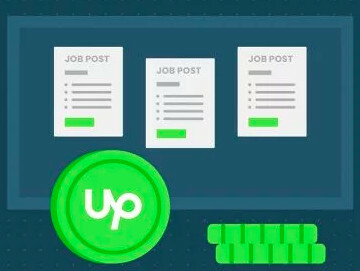 Hey @Upwork, April Fool's Day was yesterday! So not only do we have to pay 24.2% of what we earn, now we have to PAY to TRY to get work as well? xD What kind of a stupid concept is that? Do you really need to milk your community like this? What about the many many scammers who have UNVERIFIED PAYMENT? Are you going to charge people for wasting their time with CROOKS that you REFUSE to do anything about? 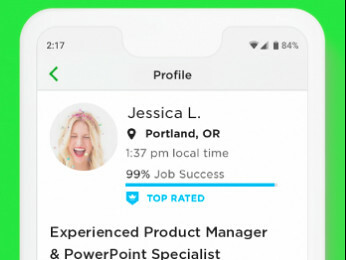 Require VERIFIED payment before anyone can post a job or send an invite. A lot of these crooks won't bother then. So, as you said the way you found to help freelancers and agencies are to high up all prices? How that help me instead of you? So, again, how is that helping me? Pretty clear you are stiling me not helping me... No even mentioning that you charge the highest commission rate (20%) in the business and also even mentioning that for all that cannot have a proper customer support? Is that how marketing is calling steal nowadays? "HELPING"? I received an email regarding this. Whats wrong with you Upwork?? This is really terrible. This is not the best way this is being greedy! How can you help freelancers find a decent job when we have to pay to get one?? First the 20% tax now this? Now we have to pay for our connects? This is terrible I don’t know but all of you who manage this should think more clearly. How did you even came up with this decision? You guys short in shopping and foot massage?? Why dont you just leave it as is im sure youre still making enough. If we want extra connects thats when we pay but dont change it. Facebook isnt paid so why should you? We want the free connects back!!! If we aint got no connects ill repeat then we will pay so go make a bundle about it or something. The bogus clients are the problem like i had before I wasn’t even paid and put extra work. They are the problem here not the freelancers who submit 60 connects (limit in a month) to find a suitable regular job. You dont how im proud to say this to my friends and relatives that this is my platform where I get the most awesome job where I could support my family and still spend time with them. Hear us out and not just your side. Were the contractors here! This is really unfair.